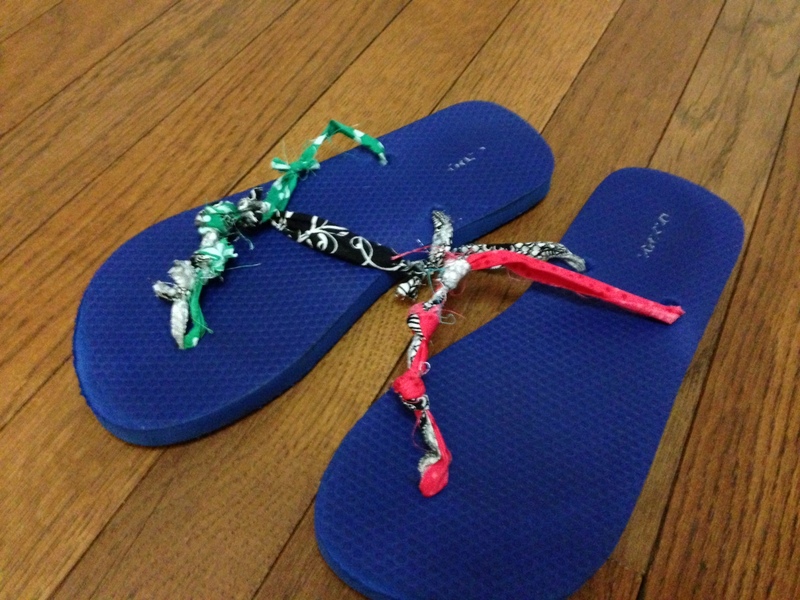 This Pinterest Challenge (hosted by Bower Power and Young House Love), I tackled some spruced up flip flops. It was a pretty easy project. I just snipped the straps off of some $2 Old Navy flip flops I had laying around and used fabric scraps to make my own straps. When I didn’t have scraps long enough, I just tied a fews similar ones together. I decided to do three knots on each shoe for decoration, but my foot do not feel nearly as secure in them as I want it to, so I am probably going to snip these straps off and try again with fewer decorative knots (probably only one). I did like the fabric combinations I used though! Happy crafting!